When can I find out what scholarships are available through the Community Foundation of Southern Indiana? Review the scholarship listings and the scholarship information packet, when it become available, on the website to identify scholarships for which you’re eligible. Not all of the scholarships listed on the scholarship listing are available every year. Follow the instructions to complete the online applications for the scholarships for which you are eligible. Complete the online application before its due date. All scholarship applications must be submitted online by the stated deadlines to the Community Foundation of Southern Indiana. Be sure to allow enough time for your counselor to complete his or her part of your scholarship process and for you to complete your application before the due date. No application will be accepted after the due date, no exceptions. View dates to remember here. No. Extensions are not granted for any reason. The online application becomes unavailable after the deadline. No. If you don’t meet the criteria exactly you should not apply. Scholarship offers typically receive hundreds of applications. Anyone who doesn’t meet the requirements is automatically disqualified. What documents do I need to review before applying for a scholarship? What documents do I need in order to complete my application? Scholarship applications are reviewed by the Scholarship Committee. The Community Foundation of Southern Indiana processes the application materials for the committee members to review. Evaluations of applications are based on a point system. A winner must meet all of the standard criteria required for the scholarship but also distinguish him or herself from the rest of the applicants. Read about the scholarship and try to determine what exactly the scholarship provider is looking for so that you can emphasize your related qualities in your essay. May I receive awards from more than one scholarship fund? Yes, you may apply for all scholarships for which you are eligible and you may receive several awards based on committee evaluation and the point system. How much will I receive in scholarships? Scholarship funds offer varying award amounts, which may range from $500 to several thousand dollars. Awards are dependent on the size of the particular fund, the number of qualified applicants and the directions given by the donor(s) of the funds. Some scholarships are renewable for more than one year. What will my scholarship award cover? Scholarships can be used for direct education expenses including tuition, books, and/or other school related fees. Please note that the IRS regulations state that scholarship awards not used for direct education expenses may be considered taxable income. If you have any questions about how your scholarships might affect your income taxes, please consult your family’s tax advisor. Where can I go to school if I receive aid? Most of the scholarships are for students attending accredited colleges anywhere in the USA, unless otherwise noted in the scholarship description. Some scholarships are designated for student attending an Indiana college. Please see the scholarship’s description. When will I be notified of my award status? If you are selected to receive a Lilly Scholarship award, you will receive a notification letter in early December after the selection committee meets and scores are finalized. If you are selected to receive any other award, you will receive a notification letter in late April or early May. This depends largely upon the scholarship, how well you meet qualifications and the level of effort that you exert in your search. Typically, you have a better chance of receiving scholarships that are limited to students within a state, city, sport or academic area. Scholarships that are more general typically have more applicants. The more applicants there are for a particular offer, the less chance you have of being selected. Apply for scholarships that give you an opportunity to showcase your particular achievements that match the requirements of the scholarship – this should increase your chance of being selected. Also, keep in mind that to find money for college, you have to create your own success by committing the time and brain power necessary to achieve your goal. If I receive a scholarship, should I send a thank you note? Where do I send it? Yes, donors enjoy reading thank you notes and like to know something about the person who is receiving their scholarship. If you were fortunate to have received one or more scholarships from funds at the Community Foundation of Southern Indiana, please address your thank you note to “CFSI Scholarship Committee” and mail it to the Community Foundation of Southern Indiana, 4108 Charlestown Road New Albany, Indiana, 47150. The Foundation will forward it to the committee and/or donor(s). No. College scholarship payments are mailed directly to the school’s financial aid office. Your scholarship check will be made payable to the accredited, educational institution you are attending. You must notify the Community Foundation if you move or transfer to a new school. Contact Margaret Brinkworth by email or phone at (812) 948-4662 as soon as you have made your decision to transfer. The Foundation will send the remaining balance to your new school. Yes.  The Community Foundation of Southern Indiana gives your award to the college you are attending directly as credit towards your tuition. If this happens, the school adjusts your unmet financial need accordingly. If you have questions, please see your guidance counselor. Many questions are sensitive in nature. Your counselor is more informed about you and your records.